This year we are supporting the Education Foundation of Niagara with our annual charity event. Based on your attendee feedback from last year we have decided to host the FunZone at not one bigger location, but host it at two great locations. One of them being the Niagara Falls Scotiabank Convention Centre! 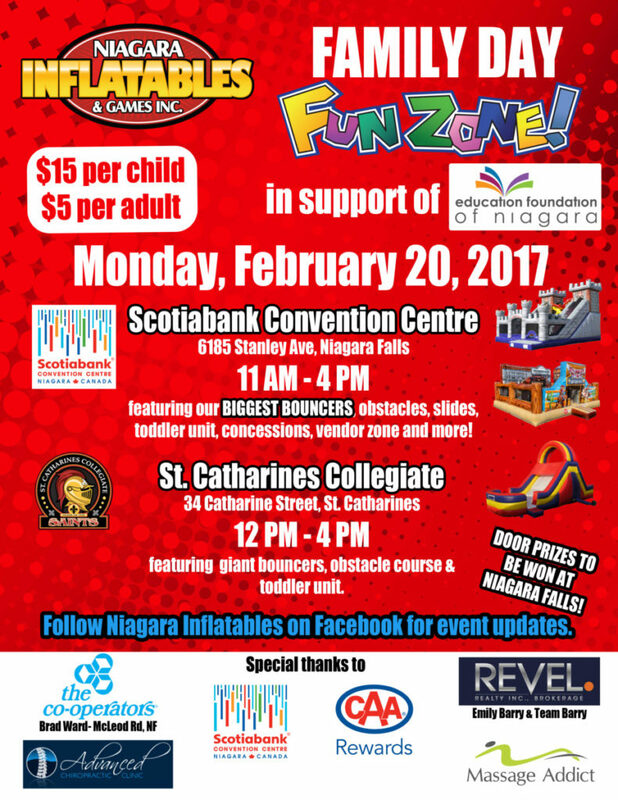 So join Niagara Inflatables in support of the Education Foundation of Niagara on February 20th at one of our FunZone spots for lots of family friendly fun. Check out the poster below for more details and stay up to date on the event with our Facebook event pages! Register using Eventbrite below and get bonus entries into the door prize draw!